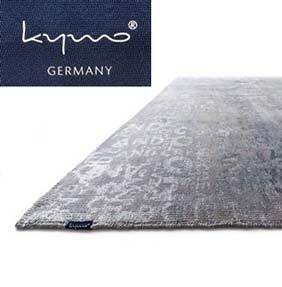 The Kymo Rug collection is an innovative collection of high-end luxury rugs. It is an ultra-modern and stylish collection and in their own words the brand’s philosophy is simple: “Go Create”. Innovative and original in design, the team at Kymo utilises classic designs, new production methods and bring in vintage pieces to create the base for their new collection. You will find pieces in the Kymo range which feature bold coloured carpets rendered into the vintage style and in many instances handmade oriental rugs are the base for their original creations. Kymo is based in Karlsruhe and almost all their designs can be enjoyed in a choice of different colourways and sizes, to suit many different kinds of home. The company ethos helps to ensure their rugs are eco-friendly, as they don’t use chemical bleaches. Their rugs are also crafted with care and close attention to detail, with many complex handcrafted steps involved in the making of each individual rug. Their combination of processes and ethos results in thoroughly modern, high quality and luxurious rugs. Kymo is a relatively young company, founded in 2005, but their youth hasn’t stopped them gaining attention. Their rugs have consistently picked up awards including a recent 2017 German Design Award. Please Contact Us for prices and info, full 2019 collection available.